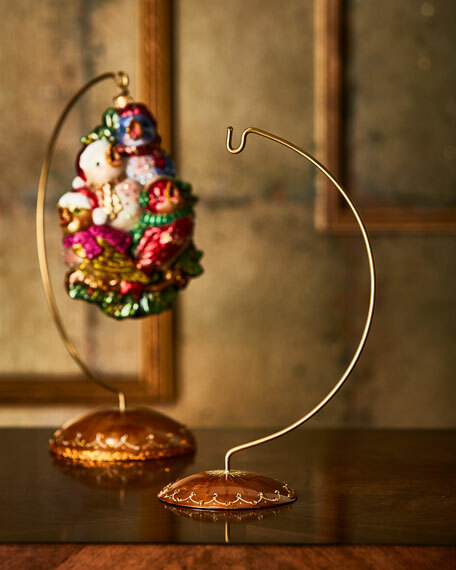 Perfect for any season, this elegant ornament stand lets you display a treasured ornament any time or place you choose. 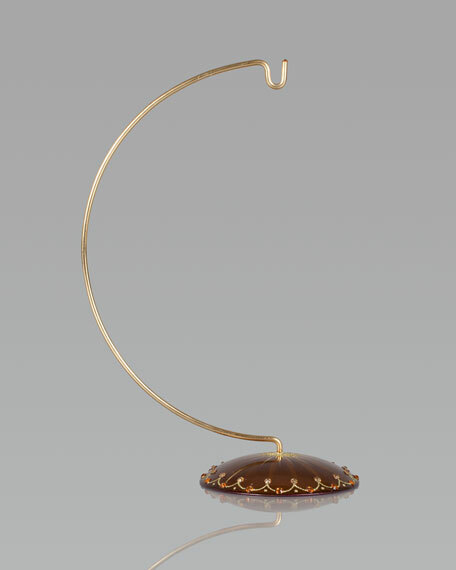 Made of brass with a golden finish. 6"W x 3.75"D x 9.5"T.